The spokesman for the Iranian Foreign Ministry renewed condemnation of a recent terrorist attack near the Iraqi city of Hilla that killed many people, including dozens of Iranians, saying the Islamic Republic is more resolved to fight Takfiri terrorists after the attack. 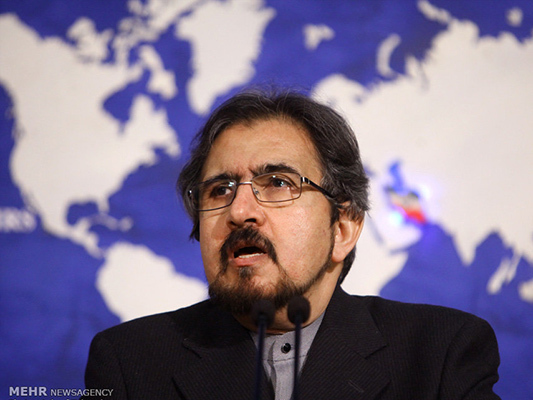 “As part of its disgraceful and inhumane efforts, Takfiri terrorism this time ruthlessly targeted Arbaeen pilgrims by its vicious and horrific attack,” Qassemi said in a statement issued late on Tuesday on the occasion of the funeral of the Iranian victims of the attack held in southwestern province of Khuzestan. He added that the ISIS Takfiri terrorists, who claimed responsibility for the “bloody crime”, will face the determination of the Iranian government and all the people to relentlessly fight the “malevolent and incurable ill-wishers”. The spokesman further said the supporters of the Takfiri terrorists should be aware that a terrible fate awaits them. At least 100 people have been killed and dozens wounded in the suicide truck bomb blast at a gas station near the town of Hilla, 100 km (62 miles) south of Baghdad, on November 24. At least 40 Iranians, returning from Arbaeen pilgrimage in Karbala, have been pronounced dead in the attack as of Friday morning. Daesh (ISIL, also known as ISIS) terrorist group claimed responsibility for the assault. The gas station has a restaurant on its premises that is popular with travelers. Five pilgrim buses were set afire by the blast from the explosives-laden truck, a police official said. Iraq’s Joint Operations Command said the vehicle was packed with 500 liters of ammonium nitrate, a chemical compound used in many explosive devices.